The service was excellent but the meal was very disappointing. The 1 pound potato had been sitting around and was cold. The 16 oz. prime rib would had been delicious because it was so tender but that was barely warm along with the au jus. We requested more au jus that was suppose to be hot but that was barely warm. In the end with the third try now steaming hot au jus we told her to pack up our meal and we would reheat our dinner in the microwave when we got home. Kinda lost our appetite . But a plus our wedge salad was cold and delicious. BUt not for brunch. French toast was hard, and my wife;s poached eggs weren't poached. Not a great brunch. Easter Sunday. We all commented that the restaurant was noisier then we remembered in the past. It was difficult to even carry on a conversation at our table.The service was good, our waitress attentive. And the food was as expected. The food was excellent and the service was great. The server made some suggestion that were spot on. Went for brunch. Wanted to like it but too many issues. Biscuits were Very salty (and I like salt). French toast was literally toast (hard as a rock) with cinnamon sugar and syrup. 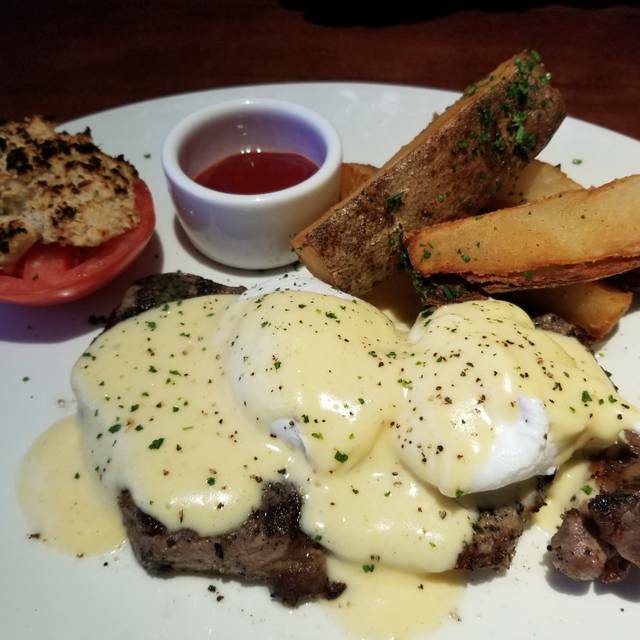 One option is steak and biscuits - learned no gravy literally some pieces of steak on salty biscuits and fries - no sauce, very odd. Best thing was tomato mozzarella salad and fries. For price that is not okay....all said we would not go back. Went to have dinner with my wife and both steaks were cooked under. Filet was rare, supposed to be medium and the N.Y. strip was Mid rare and it also supposed to be medium. when the steaks came back, they were charred on one side and served nice side up. Showed the server the burnt side and the manager didn't come back. The server came back with a discount on the check. As a chef, and being the business, I felt that was inappropriate. Especially when the filet was still under. Great place for special occasions. Excellent food and service! 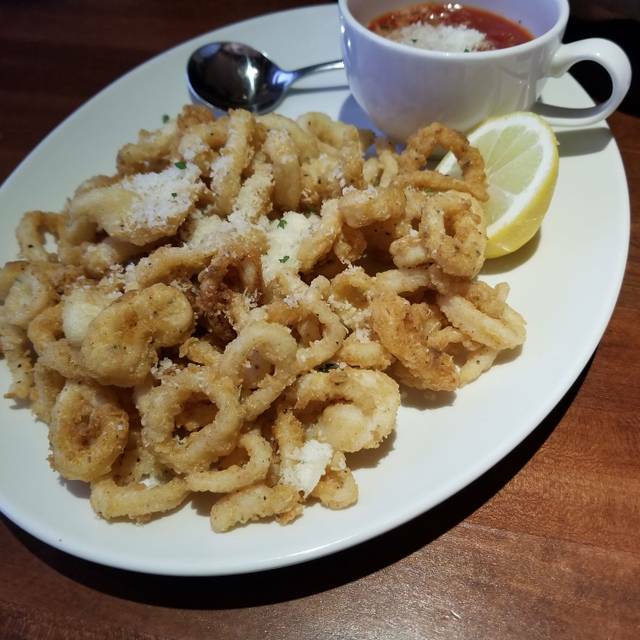 Consistent great food and service each visit! The steaks are delicious! We have been going here for close to 20 years! Love the ambiance, service and food is always excellent! Great restaurant. The food is so tender you don't even need teeth...lol. It melts in your mouth. We had the prime rib & trout. Both delicious! Visited for a birthday celebration. We were seated immediately. Good advise from the server, plenty of time to study the menu and enjoy drinks and starters. Food was perfectly prepared. We enjoyed all the selections on the menu as well. We will return. 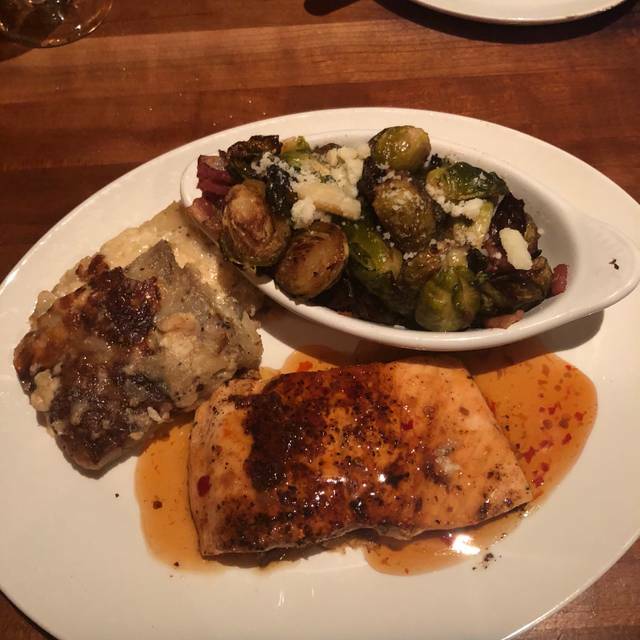 Ordinarily, we would have given an overall favorable review to Stoney River Steakhouse and Grill. However, this time, the service was simply awful. The untrained, inexperienced server never made eye contact; his speak was almost unintelligible. He took our order more like a robot. Our appetizers came a good 15 minutes before the wine, and when he delivered the wine, he proceeded to pour the entire bottle, never showing it first and never offering a taste. Three of four entrees were served, but when the last entrée came, it was the wrong entrée. After complaining, a supervisor came to whisk the wrong entrée away and deliver the correct entrée a short time later. In the meantime, we waited for the correct entrée to be served, and in the end, three of us ate cold meals. Neither the supervisor nor the server came to the table to see if everything was alright. All in all, an unfortunate way to celebrate a birthday. It is always a good time eating at this restaurant. The only complaint we had was our waiter (William) was not very hospitable nor was he engaged in serving us. He never introduced himself nor explained the menu. We took a couple there for the first time and had to explain that the service is usually better. We will make sure not to have him next time. Our favorite restaurant. Food and service are always top notch! This was our most disappointing visit to Stoney River. We came to celebrate our anniversary because this is our favorite “fancy” restaurant. We were quickly seated but in a crowded, noisy area. So many people came by our table we weren’t sure who was actually our server. The rolls didn’t arrive for almost 20 minutes, the sautéed onions on the mashed potatoes looked unappetizing, and both of our steaks were over cooked. Nobody stopped by the table to check if the food was ok until we were more than 1/2 way through the meal. We will go back because we hope this was a one-off bad night, but it was disappointing. The food was great. Amazing taste and would definitely recommend to anyone especially those who enjoy steak. Dinner was great. Food cooked right. Salads were wonderful, our waitress was s great. Thank you for all the fun. I would recommend this dinner to all my friends. Overall pretty good experience; the service outshined the food. 10 Oz filet was not very tender, did not have much flavor and was not cooked evenly. Great dinner, but pricey. Party of four all had fish. The entrees and appies were excellent, tasty, plentiful and rich. One small issue, the bed of spinach was a little stringy for one guest, but not so for the others. And the pre dinner cocktail “Draper” was almost absent of booze. All other respects were great, especially the service! My wife and I went in for lunch; we were glad to see Heather who took us to our usual table across from the fireplace. Rachel, our fantastic server took our drinks and appetizers orders. We had the Cumberland salad and chicken pasta soup, both were delicious! Our main dish was the NY strip steak that was cooked to perfection. I really appreciate David for coming to the table to wish my wife a Happy birthday. The complimentary chocolate cake was a surprise, thank you so much. We absolutely love this restaurant! Excellent dining experience. The wait staff was super attentive and the dessert was icing on the cake. The food was delicious and the service was very good. Had a reservation and was seated as soon as we arrived. Food came out promptly. Most at the table ordered steaks and they were cooked to perfection. Would recommend to others. Service was slow, which resulted with two hours of dining. Fine with the time amongst friends, but slow to the table with some of the dinner parts. For example, 3 of the 4 of us got our wine; fourth had to ask and still took a little time. Overall, the food was very good. Thank you for making my birthday so special and memorable!!! Wife had feature filet with crab cake, crab cake was not very fresh and kind of ruined her meal. 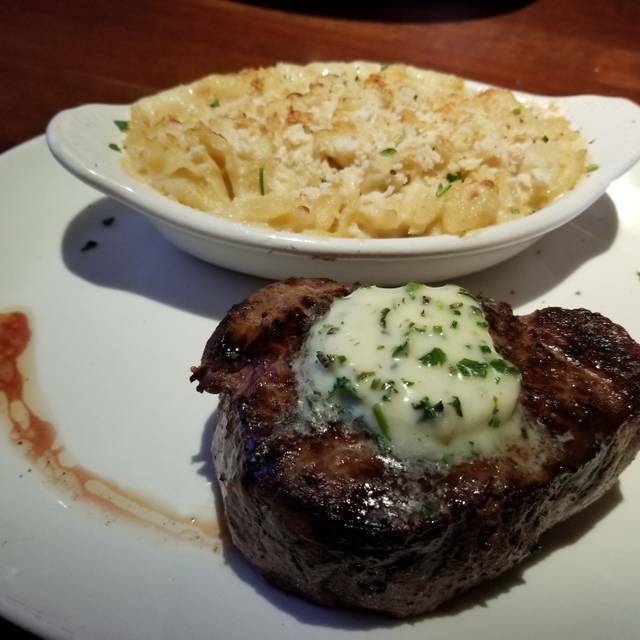 I had a filet with blue cheese horse radish crust, the crust was way to thick (approximately 2.5” tall) and the steak was not hot when it arrived. Very disappointed as we have had several great meals here. Will be a while before we return. The shrimp were very good and well prepared, the filet was perfect, but the prime rib 16oz. was not hot, or even warm for that matter. 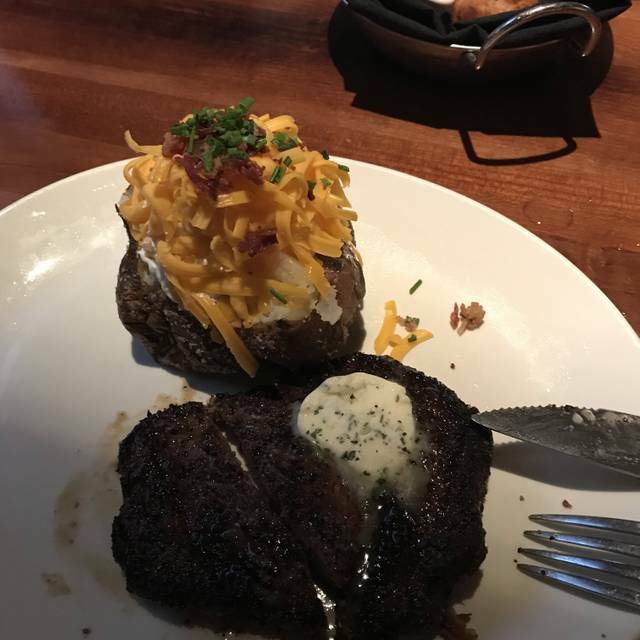 The other sides were very good, but the baked potato looked loaded, but no butter and minimal sour cream..it was puffed up, but very dry. Being a Monday night, we had a new waiter, but he was receiving help from a more tenured employee. We do love the ambiance and most of the food served there, thus our celebration of two relative birthdays. Food was excellent! Just out for a casual dinner with the family. Our server (Kingsley) was super attentive and very nice. Will ask for her upon returning : ). All in all an expensive but well worth it dining experience. Highly recommend. All our Steaks (4) were over cooked and this is the 3rd time we have had this issue. It’s either bleeding or gray! There is no inbetween, unfortunately. 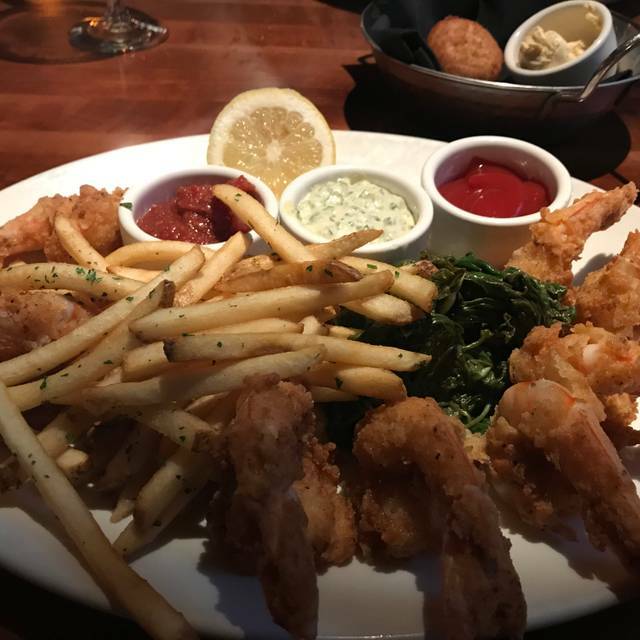 Stoney River never disappoints! Enjoyed a fabulous lunch. 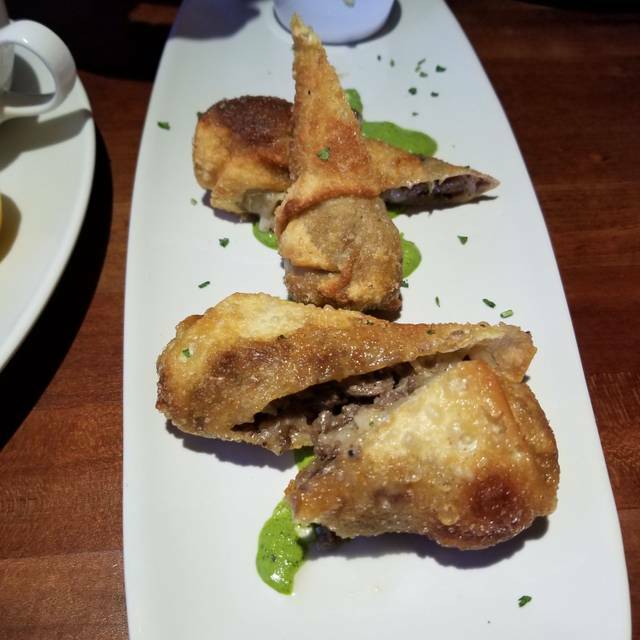 From the delicious deviled egg appetizer and melt-in-your-mouth rolls with cinnamon butter to the best crispy fish tacos, everything was cooked to perfection and served up beautifully! The chef was willing to grill my fish rather than deep fry it. Brussels were a great side dish and daughter had a tasty veggie burger. 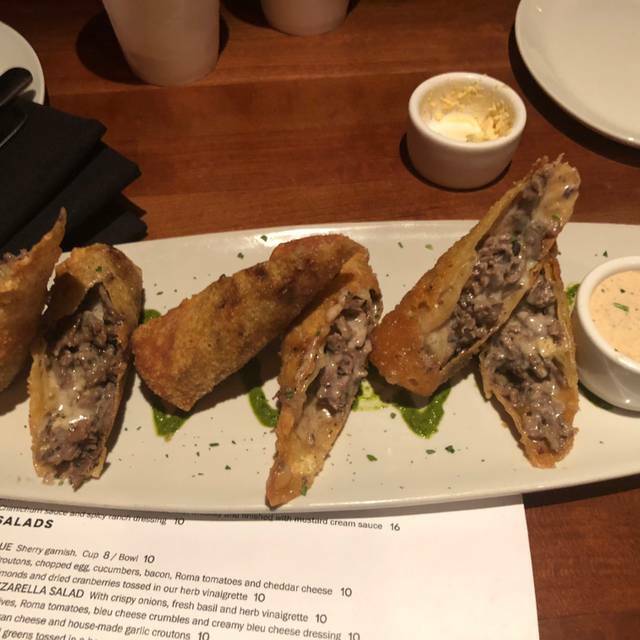 Stoney River may be known for great steaks, however, their other offerings are amazing too! We had lunch for two on a weekday. The place was quiet and comfortable, perfect for the small talk and business conversation in which we participated. The veggie burger was delicious and the roasted brussel sprouts were a great substitute for fries. It’s not the cheapest place for lunch, but neither was it unreasonable. The service was superb. Best filet hands down! Arriving during happy hour was a bonus. 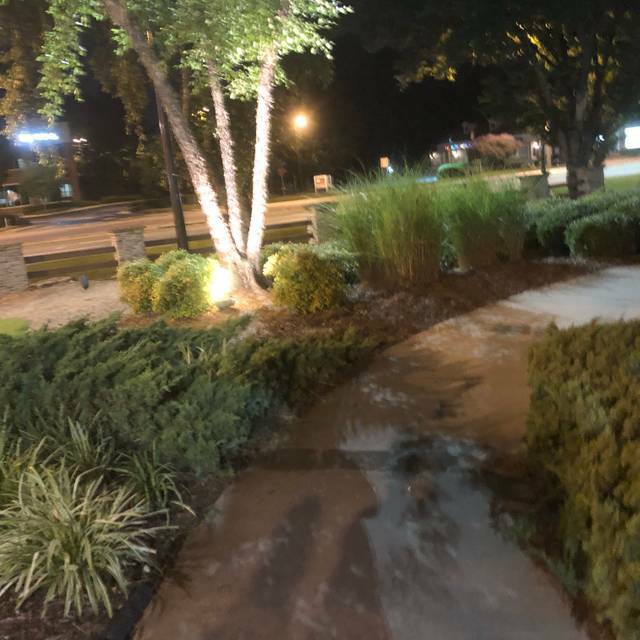 We have always enjoyed Stoney River in Roswell, however this time the service was not good. Our server was a young girl who clearly had a bad attitude. Maybe she just had a bad day but when we are paying $150.00 for dinner, we expect to be taken good care of. We were very disappointed. Already recommended to my boss who plans to take a friend here for a birthday celebration.